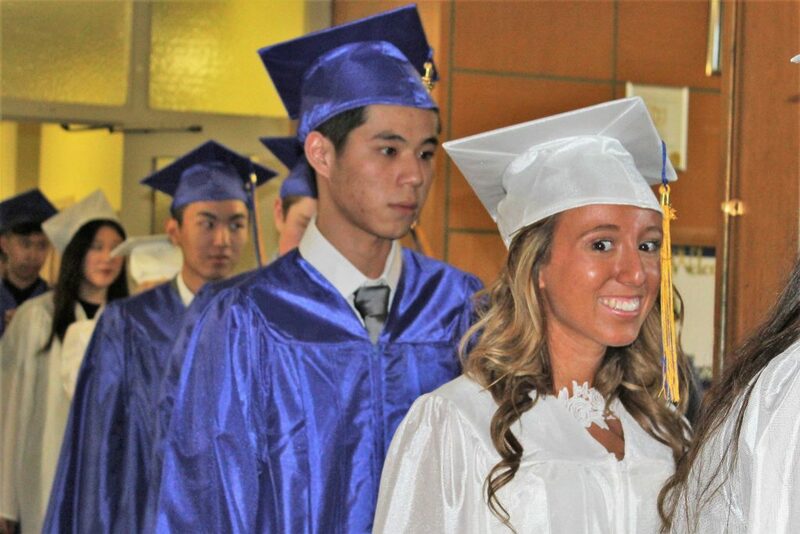 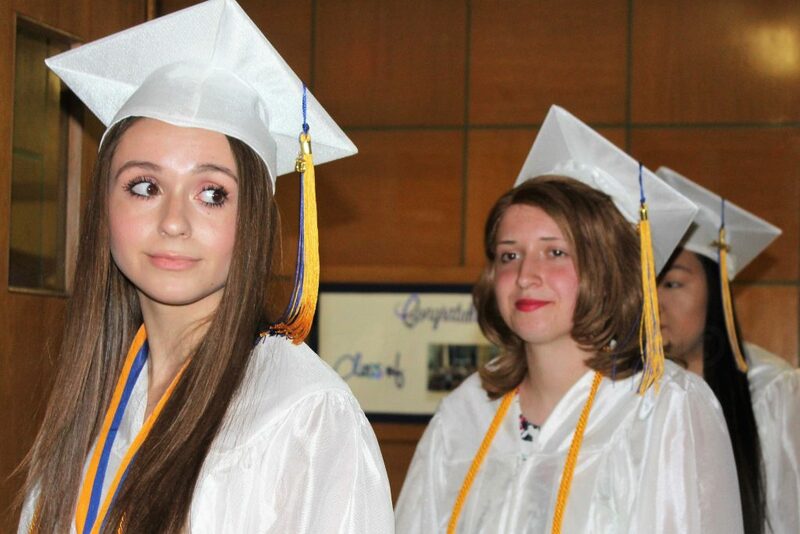 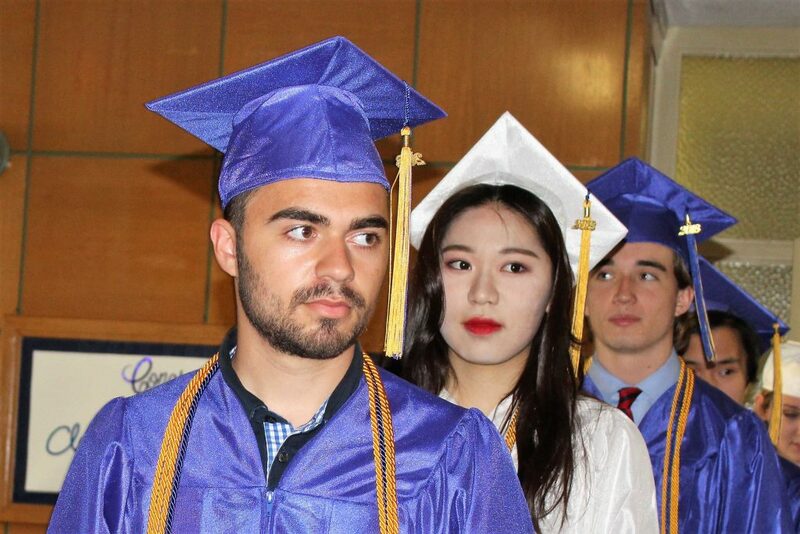 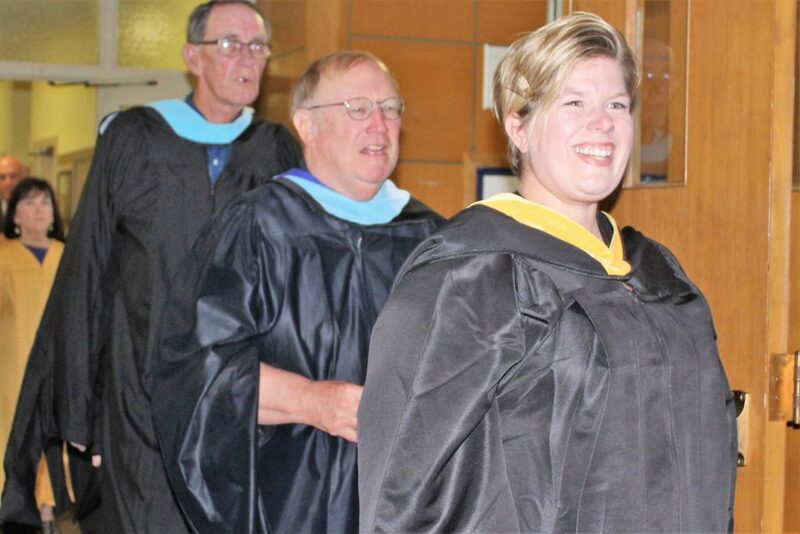 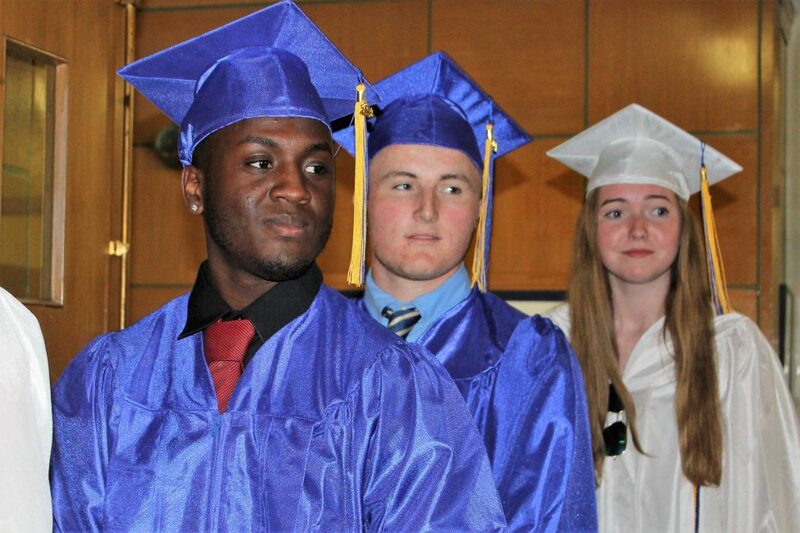 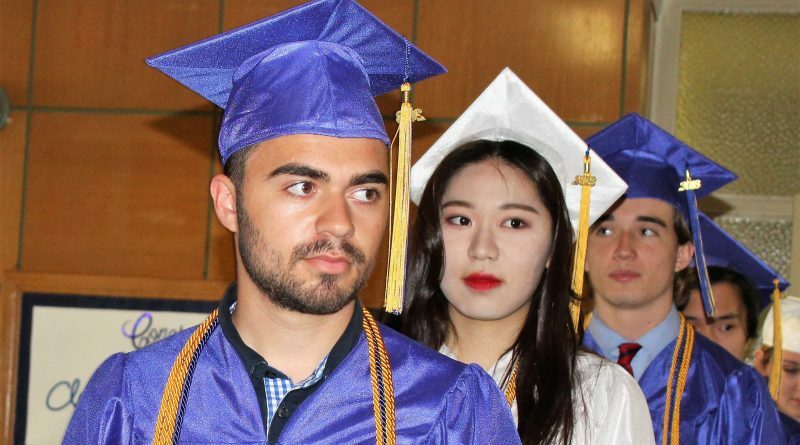 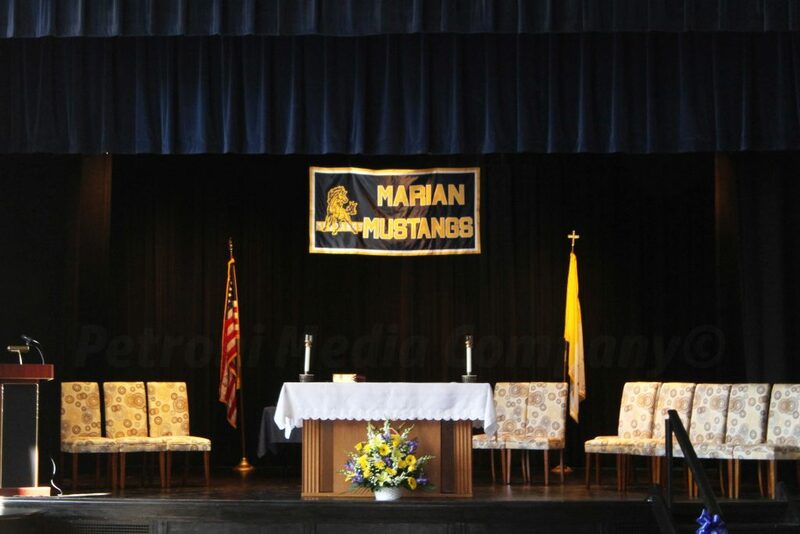 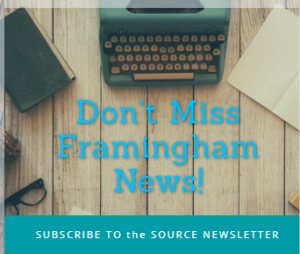 FRAMINGHAM – For decades, Marian High School’s commencement was on the Friday of Memorial day weekend. 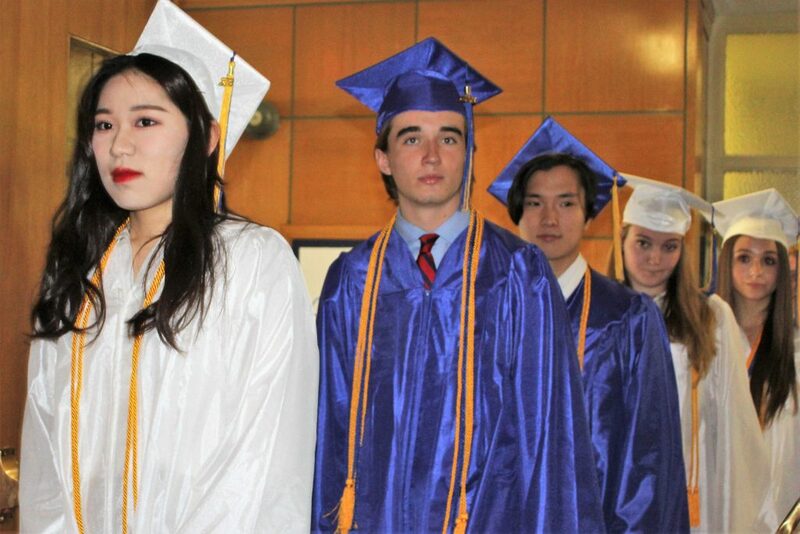 But tradition is ending this year. 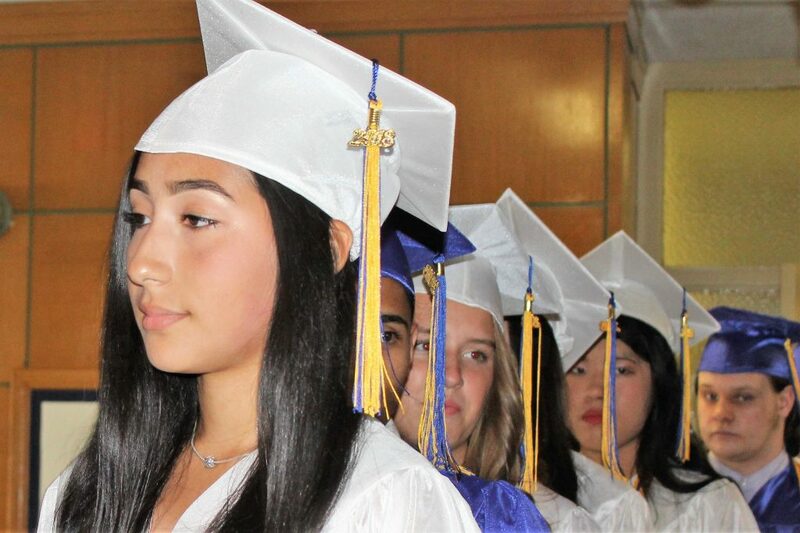 Not only is the school closing in June, but the commencement exercises were held on a Thursday night and combined with the annual Baccalaureate Mass last night, May 24. 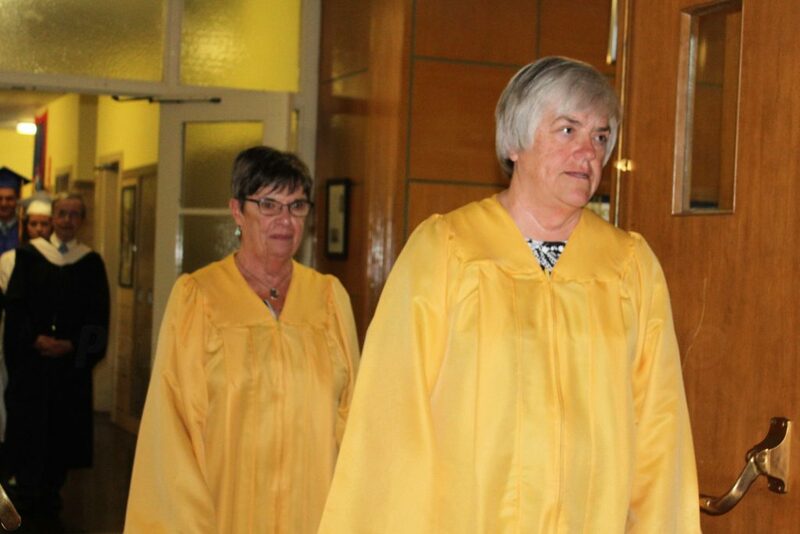 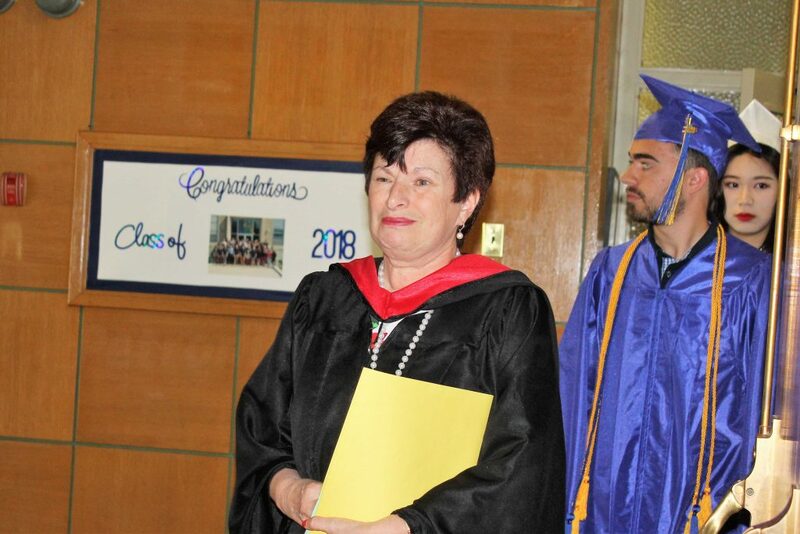 Members of the Class of 1968 were invited to the ceremony to mark their golden anniversary of graduating from the Framingham-based private Catholic high school. 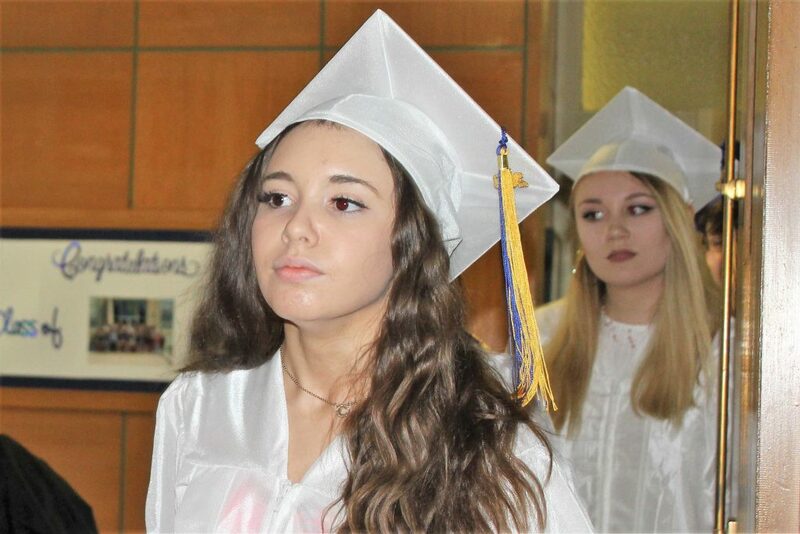 The Class of 2018 will be the final class to graduate from the school. 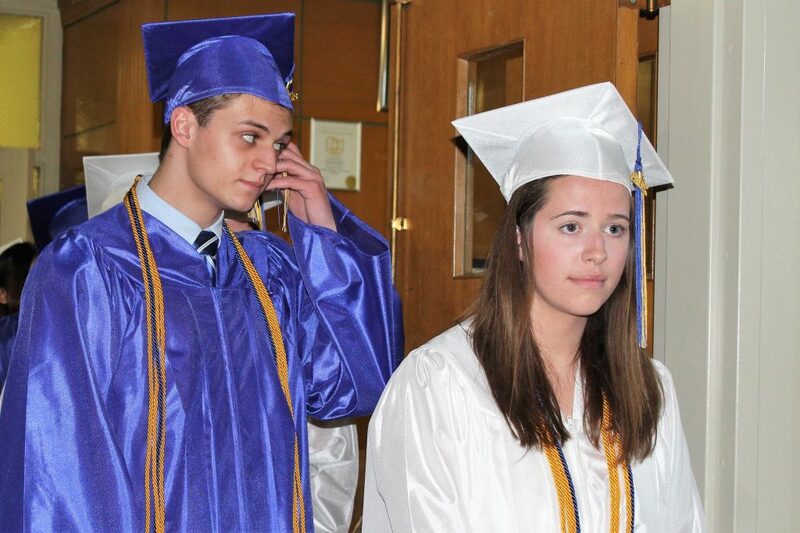 Trustees voted in March to close the 9-12 co-ed school, due to dwindling enrollment. 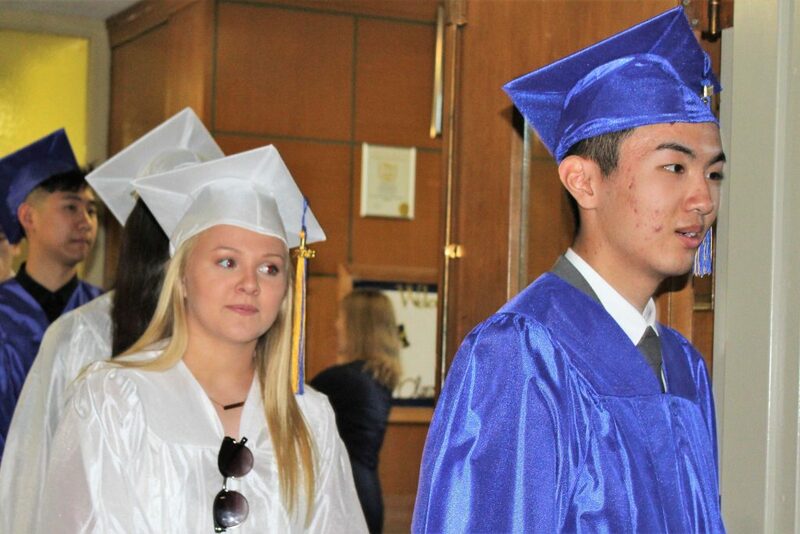 Norfolk’s Grace Griffin, Class President for the Class of 2018, welcomed everyone to the ceremony Thursday night. 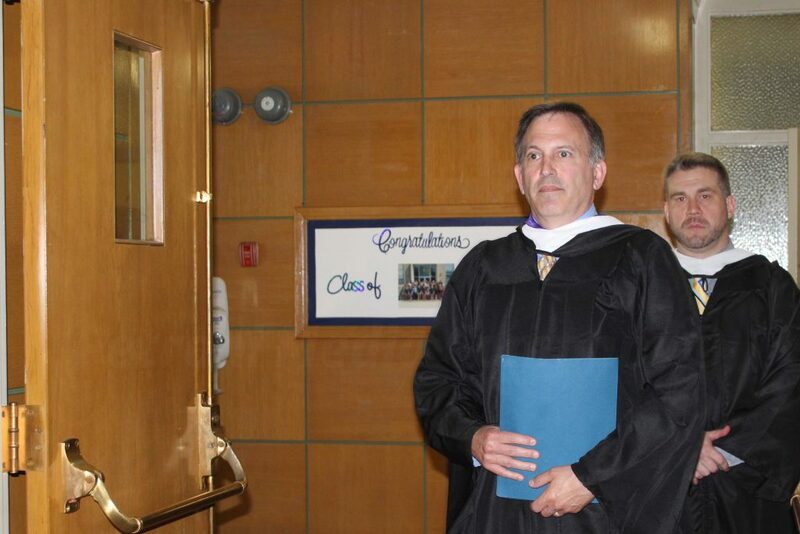 Afterwards Rev. 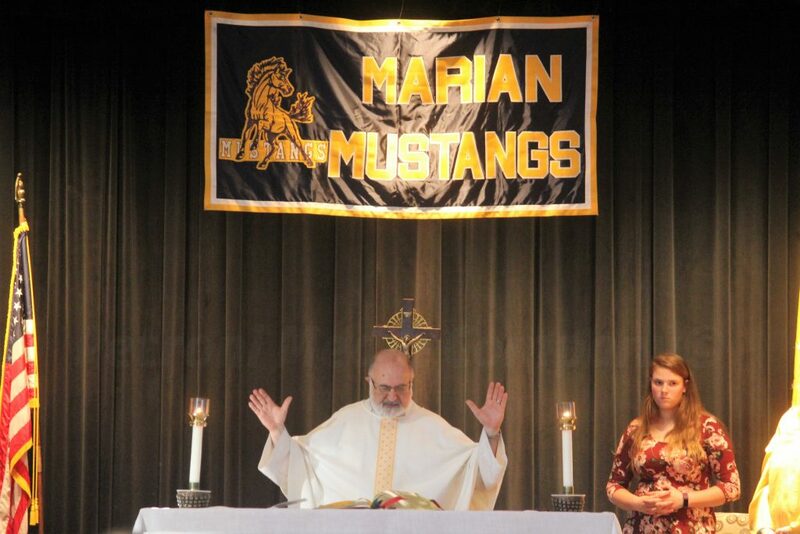 Rocco Puopolo presided over the Mass, assisted by alter server Maira McCarthy, from what would have been the Class of 2020. 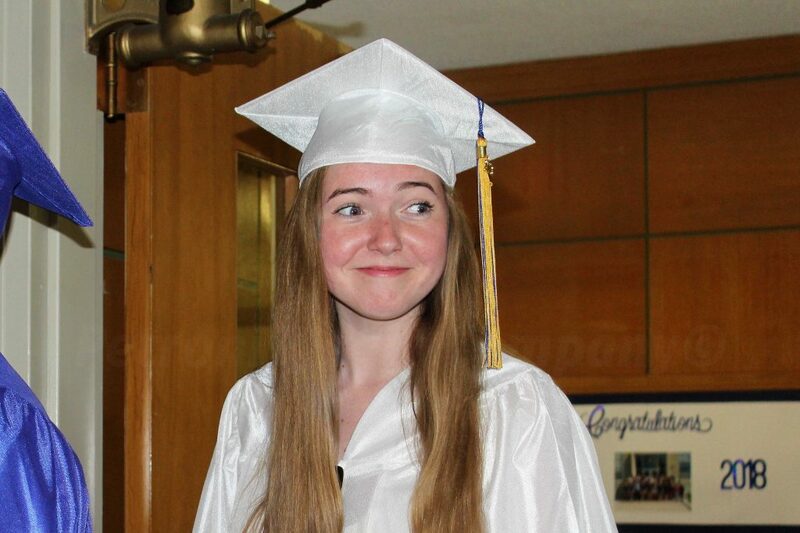 The Valedictorian this year is Jane Langan of Sudbury. 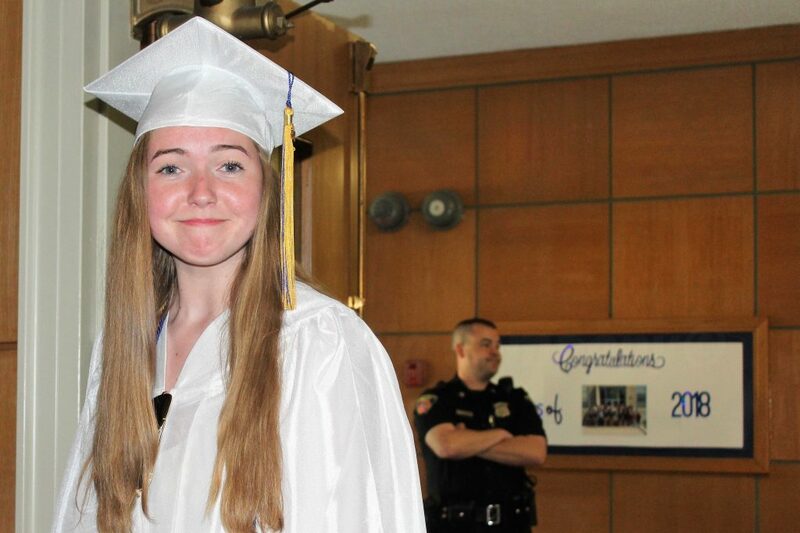 She will attend Boston College in the fall. 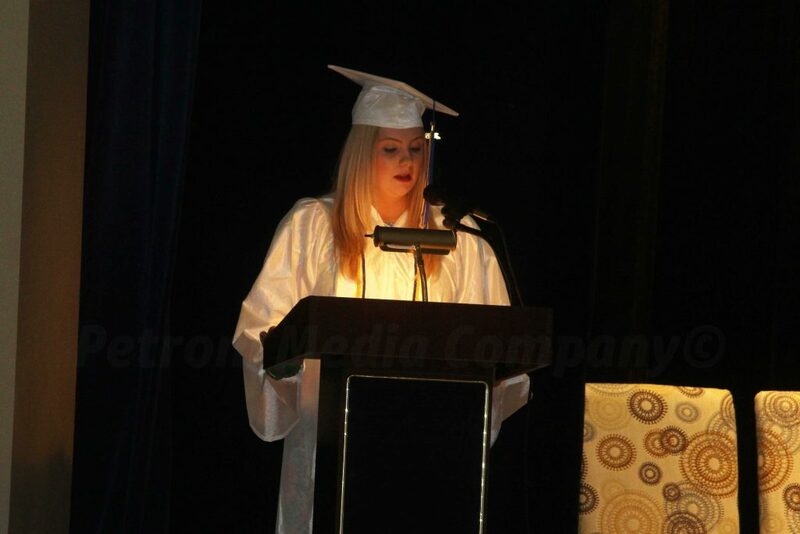 The Salutatorian address was given by Elizabeth Bishop of Framingham. 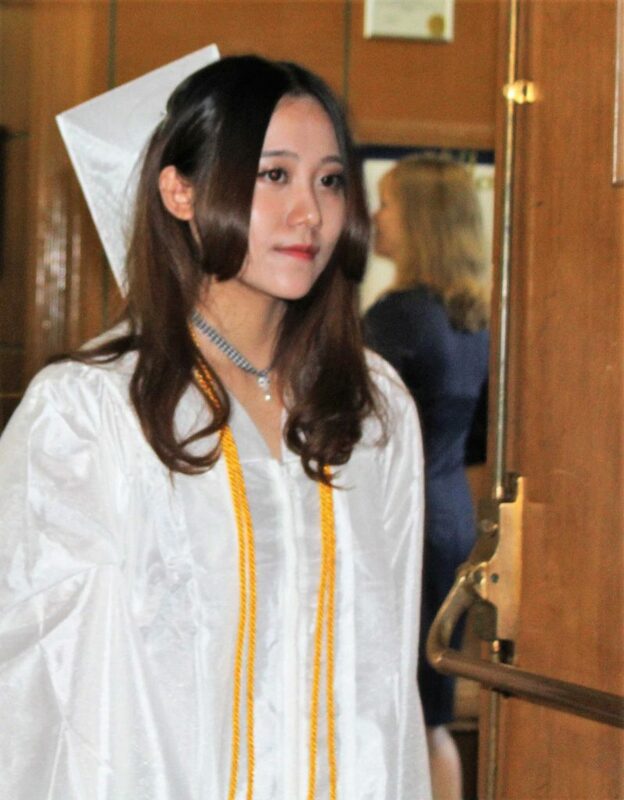 She will major in business at Bentley College in the fall. 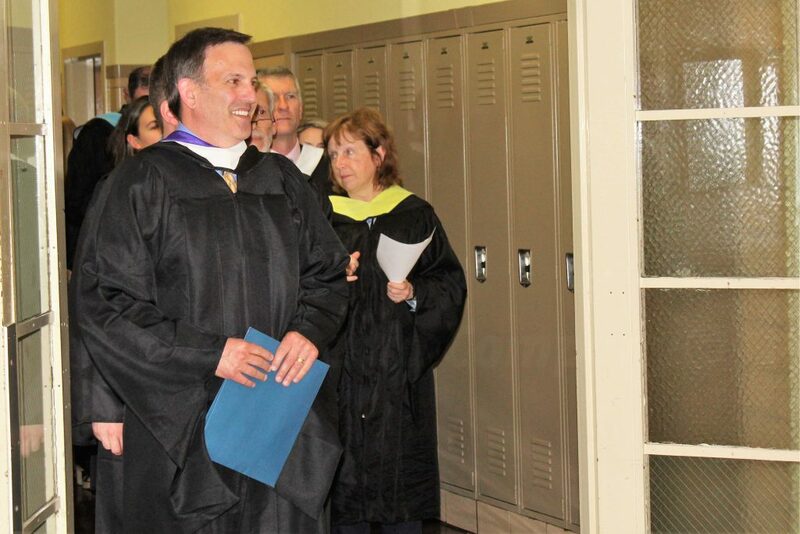 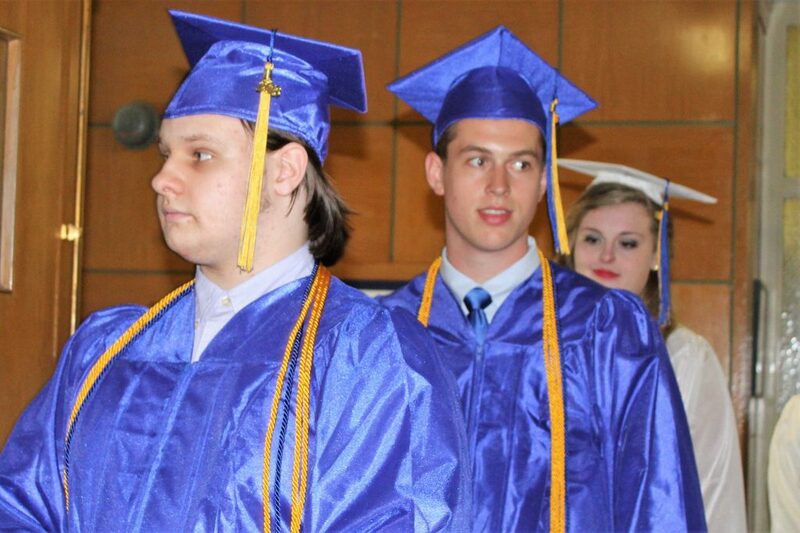 Fifty-one students received their diplomas from President John Ermilio and Principal Brian Donohue. 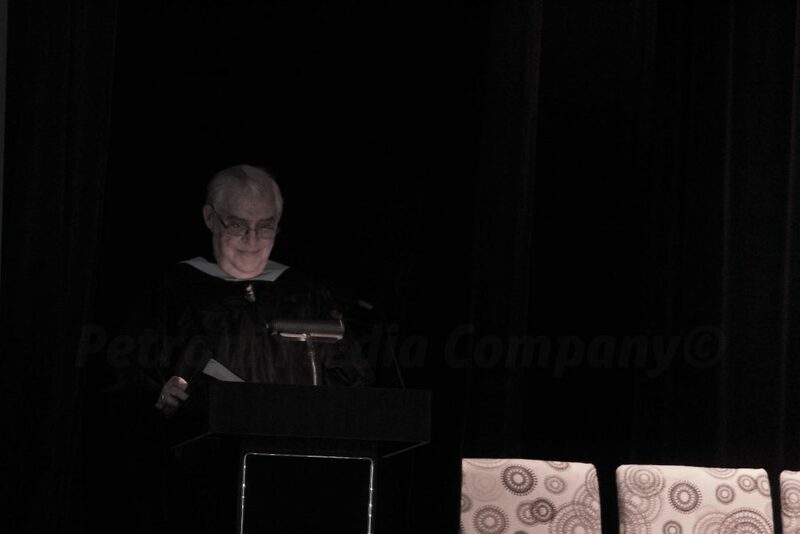 Walter Johnson, the social studies chair at Marian High, and a graduate from the school in 1972, gave the final commencement address.